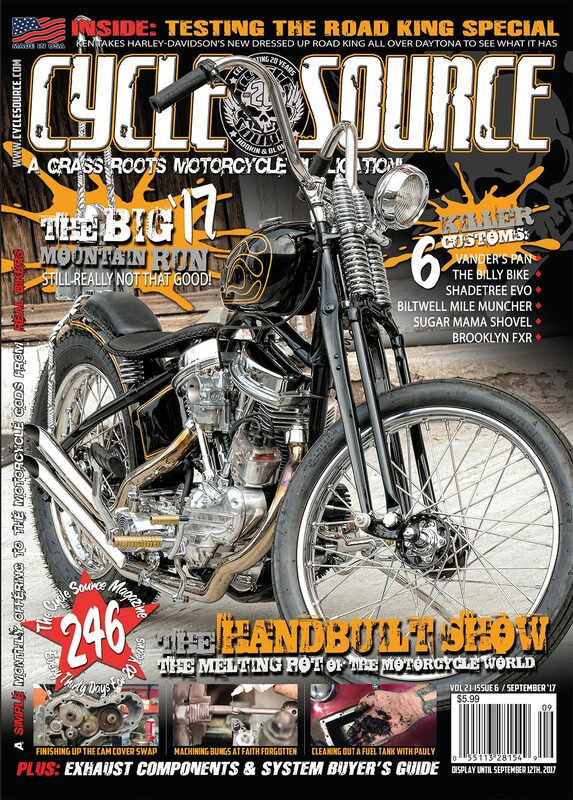 In this issue of Cycle Source Magazine Dan Starke’s show winning bike from Tropical Tattoo graces the cover. Dan is a up and coming young builder who has attracted a lot of attention with this bike and we’re thrilled to bring you the story. Finally we get to share our experiences with an event in Chicago this past summer called MotoBlot. It was a killer time and you should go, trust us! Tyler and the boys from Low Brow took a little trip with friends called the Great Lake Escape that we covered here and The Inside Line got a great interview with Kenny “The King Of Cool” Coolbeth. 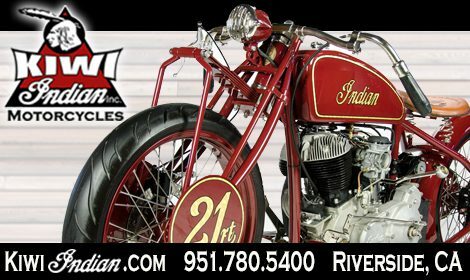 Of course we have the usual suspects like Chopper Charlie, Scooter Tramp Scotty, Jimmy Frizzell, three great tech articles and 5 killer feature bikes. Want To Read More About This Issue But Can’t Find The Magazine? Head On Over To magfinder.magnetdata.net And Type In Cycle Source or order it HERE! 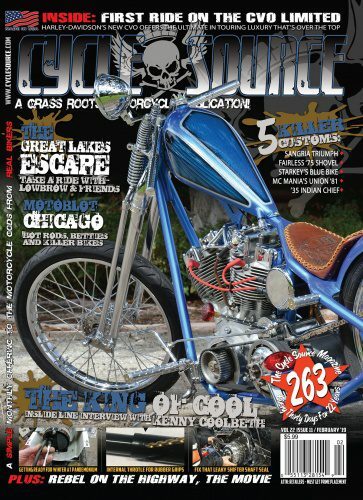 This entry was posted in In The Magazine and tagged Cycle Source, Dan Starke, Kenny Coolbeth, Low Brow, MotoBlot, ShopTalk. Bookmark the permalink.